I’ve kept countless diaries since I first learnt to write, some lasting only a day or two and then disappearing for years, some lasting months on end. The best thing about keeping a journal, or diary or whatever you want to call it, is that it’s a space FOR YOU. You can share anything in the pages, whether it’s in the form of drawing, mind-maps or just plain ol’ writing. I find that anything bothering me becomes way less of a problem once I’ve mentally organised things, and journaling is a great help with that. It allows you to get down your thoughts/fears/secrets and hopefully not have to worry about it being found. Some precautions may have to be put into place if the people you live with are particularly nosy because sometimes these people will try and sneak a peek at your journal. Something that seems to happen in a lot of films is that a teenage girl leaves her diary in the cafeteria/classroom/dorm, and the next day she walks into school and the whole corridor is reading print outs of her most secretive secrets (that are, for the record, usually pretty mild). If this ever does happen to any of us (God forbid) just keep your cool. Hopefully only a small number of people will be interested in what intriguing things you are writing about and just remember it’ll blow ever. A good rule of thumb would be to make sure you try to keep your journal in one place that you are pretty sure it will be safe, or just don’t take it in public. You could also get a little padlock for it or possibly hire a security guard to protect it for you. Whatever works best. You should also realise that there is no right way to journal! In the past I felt like I had to write at least a full page, every single day, about what I did, even if I didn’t want to. It took the fun and the therapy out of it and it became like a chore. If you want to stick some pocket lint in one day, and then ignore your journal for weeks, go for it! But if you wish to write pages and pages every other day, that works too! 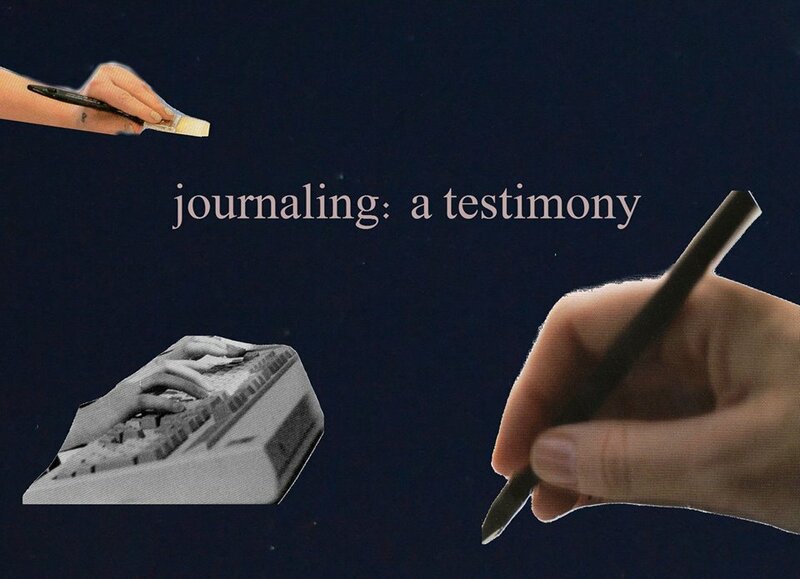 Just remember that as long as you enjoy it, whatever method of journaling you are following is a-okay. You don’t need to journal every single day if you don’t feel like it. The greatest thing about journaling is that it’s not to show to a teacher for marks or something so you needn’t worry about keeping up. There are no rules or guidelines to follow, this is all for YOU! For me, one of the best parts of a journal is the feeling of getting something off your chest, and the beauty of having a secret place to write it all in is that you don’t have to worry about telling people. If you are having genuine problems in your life that are damaging to your physical or mental health, try and tell someone and get some sort of help from a real life person, but if the things you talk about are less serious and more “ohmygodmycrushissofuckingcute”, then a journal is GREAT. To have a place to talk about cute people or good films or whatever without having to physically tell a friend, who is possibly sick of hearing about the dreams you have about Ezra Koenig, or how much you love the outfits in ‘Heathers’. yes!! i always used to force myself to write a page every single night before i went to sleep but it really took the fun out and made it feel like a homework assignment. I’d be at like sleepovers and realize it was like 11:45 or something and freak out and lock myself in the bathroom. And of course I didn’t tell people what I was doing because if you say “gotta go write in my top secret journal” everybody wants to read it. Previous ArticleHow Can I Write That?